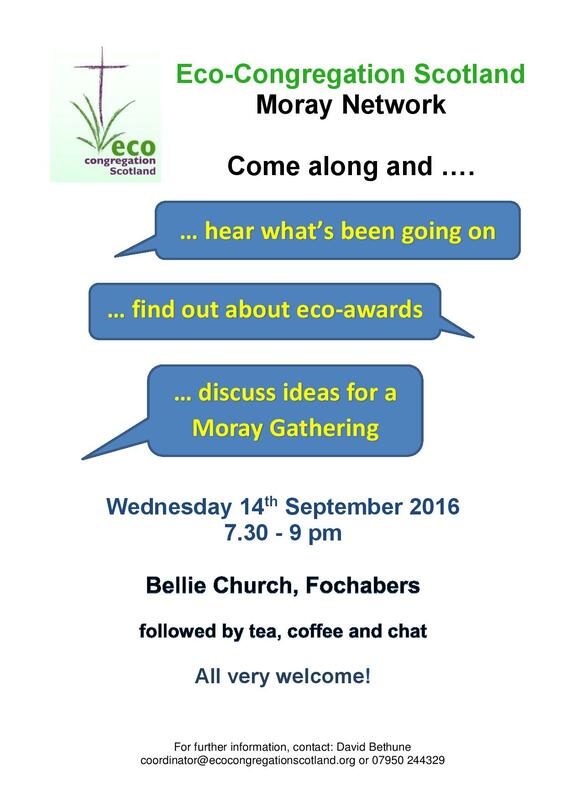 This is the latest news from the Moray Eco-Congregation network. Aileen Buchanan, Francis Mitchell (both members of the Duffus, Spynie & Hopeman Eco group), Richard Lochhead MSP, Rev Jenny Adams. Duffus, Spynie & Hopeman Church welcomed Richard Lochhead MSP to present the congregation’s Eco-Congregation Silver Award on Sunday 6th May. The award recognises the congregation’s actions to care for creation in its spiritual life, practical work and global living. Duffus, Spynie & Hopeman were particularly commended for the range of people in its Eco group, the regular sharing of environmental issues in the quarterly church magazine, the ongoing work to reduce energy use, and its links with local schools, uniformed organisations, and other churches in Moray. The next stage for the congregation will be to work towards a Gold Award, which would see creation care embedded in every part of church life. 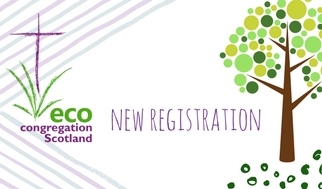 Eco-Congregation Scotland is a movement of Scottish church congregations, of all denominations and none, committed to addressing environmental issues through their life and mission. There is a network of registered Eco-Congregations across Moray, who meet a few times a year to learn together. The Award scheme is optional, but encourages congregations to keep making progress. “How Green is your Church?” Local meeting in Elgin, Saturday 17th March. How does your church care for God’s creation? Would you like support to do more? Eco-Congregation Scotland is an ecumenical movement helping local groups of Christians link environmental issues to their faith, reduce their environmental impact, and engage with the community (www.ecocongregationscotland.org). A number of Moray churches have already become involved: for example, Alves & Burghead; Bellie & Speymouth; Duffus, Spynie & Hopeman (all Church of Scotland); Holy Trinity; St John’s (Scottish Episcopal); and St Margaret’s (Catholic). Representatives from the different congregations in Moray meet regularly for mutual support and to share ideas. We’d like to inspire members of other congregations to join us and to find out more about the links between faith and creation care. We’re particularly keen to increase the number of different denominations involved. With this in mind, on Saturday 17th March, we’re hosting a meeting in the Williamson Hall in Elgin. David Bethune, the Eco-Congregation Scotland coordinator will provide information about the movement. He’ll explain how local congregations can get involved by registering and by taking part in the new awards scheme. Local church members will give examples of what they’ve done to ‘green’ their churches. There’ll be opportunities to share ideas and challenges, too. We warmly invite you and members of your congregation (including young people) to join us. We’d be grateful if you could advertise this opportunity, and encourage interested people to attend. A poster advertising the meeting can be downloaded here. Please feel free to circulate it and this message. Join us in welcoming Alves and Burghead Church of Scotland and Holy Trinity Church, Dunoon to the host of Eco-Congregations across Scotland. Moray Network meeting next month!